Clearing up acne is tough. Yet for many, getting rid of the unsightly scars afterwards is even more frustrating. At Jones Plastic Surgery, eliminating acne scars begins with a thorough assessment and evaluation. In most cases, what patients assume is an acne scar is actually a form of post-inflammatory hyperpigmentation. Between the two, an acne scar is more serious because it involves the deeper layers of the skin while the red, brown, or pink post-acne marks only affect the skin’s superficial layers. The latter is easier to treat and is less likely to permanently damage the skin. Sunscreen is your new best friend. Sun exposure darkens the skin. Avoid the outdoors as much as possible and use sunscreen if you really need to go out. Cloudy days are no exception! Choose your facial cleansers carefully. It may be tempting to use scrubs or products with abrasive ingredients but it is best to go for gentle, well-formulated cleansers instead. Scrubs are more likely to cause facial irritation that will delay wound healing. 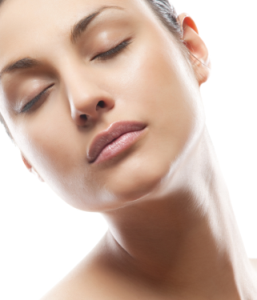 Schedule an appointment with us to learn more about chemical peels. Acne scarring responds well to skin brightening peels that contain AHA (alpha hydroxy acids). All of these peels come from natural sources — citric acid (from fruits), glycolic acid (from sugar cane), malic acid (from apples), and tartaric acid (from grapes). Although derived from milk, lactic acid is also considered an AHA peel. Call 405.418.5400or fill out one of our appointment forms to schedule your chemical peel appointment today! Three Common Skin Care Issues in Your 40s and How to Address Them What Exactly Do You Want from Eyelid Surgery?